Software is often built from pre-existing, reusable components, but there is a lack of knowledge regarding how efficient this is in practice. 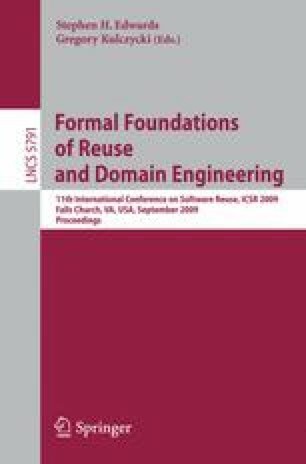 In this paper we therefore present qualitative results from an industrial survey on current practices and preferences, highlighting differences and similarities between development with reusable components, development without reusable components, and development of components for reuse. Component reuse does happen, but the findings are still partly disappointing: currently, many potential benefits are not achieved. Still, the findings are encouraging: there are indeed good, reusable components properly verified and documented, and mature organizations who manage to reuse these components efficiently, e.g. by leveraging the previous component verification. We also find that replacing one component for another is not necessarily complicated and costly.